Apothecary Bottle Lamps - Original House – Decorative Antiques, Vintage Industrial Furniture and Lighting, Cotswolds. These vintage Apothecary bottles were sourced from a Pharmacy in Germany and are believed to be circa 1940 - 50's. They are in good condition with only a few marks inside and out. The labels are enamelled. 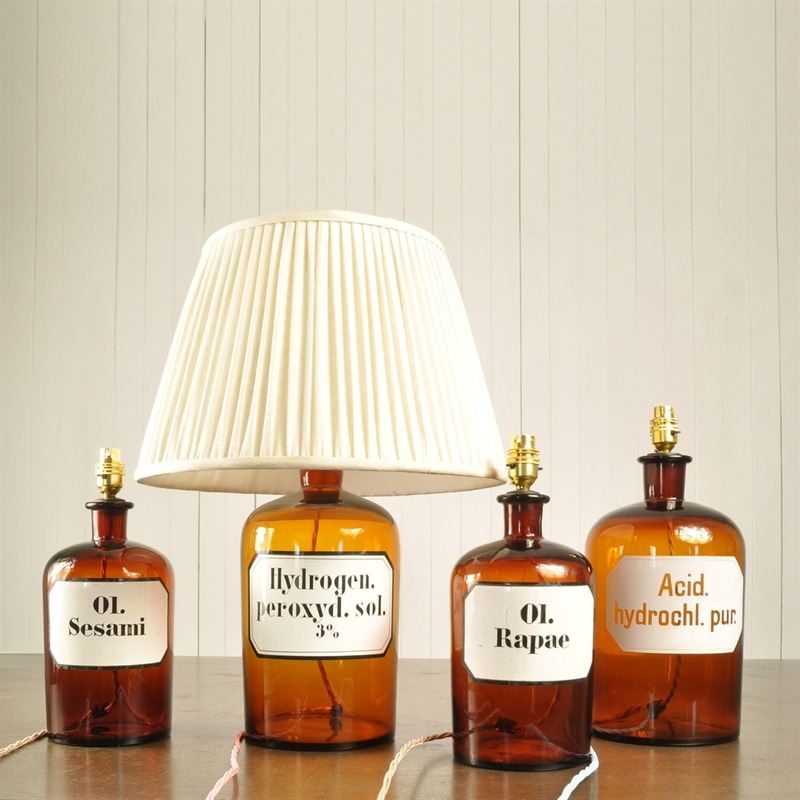 We have repurposed these into fun tables lamps. 1 x Large 38 cm h x 17 across. Priced at £ 240 each. ( sold without shade shown 41 across x 27 h ). 4 x Medium 30 cm h x 13.5 across. Priced at £ 170.00 each. Wired with coloured braided flex and brass fittings - all ready to be used.